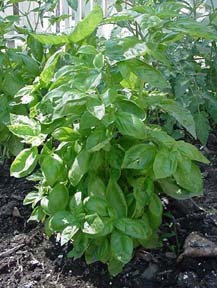 Growing basil is easy whether in containers or in your organic garden. This herb is an annual well-known in Italian food, though it's originally from India. It grows well in warm, sunny weather as a tender annual. 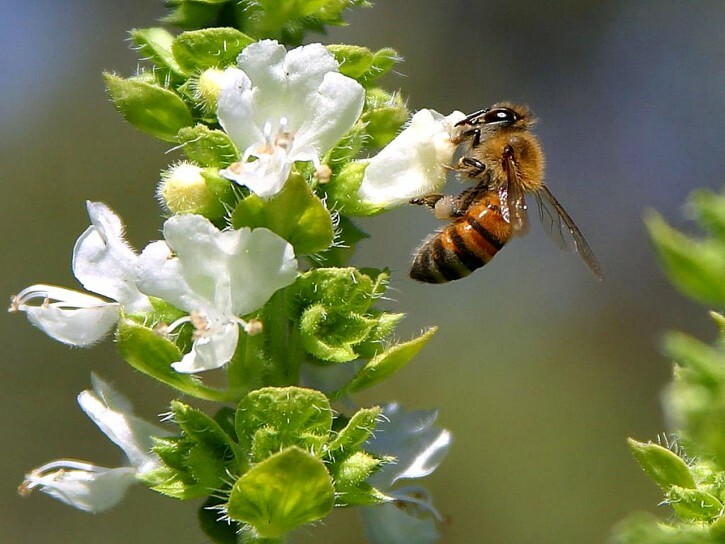 The leaves and flowers are commonly used in cooking and medicinal purposes. Plant when the weather is warm (early summer). I found that it is not that particular about soil, but will suffer if the soil gets dried out for prolonged periods of time. You can harvest the leaves as you need them or wait to harvest when they begin to flower. It is a great plant for Organic Gardening Intercropping, because it can act as a trap plant or insect repellant. Instead of planting it in solid blocks, plant it throughout your organic garden. Combine everything in your food processor or blender. 'Genovese' - Larger leaves than 'Common type', with all the flavor. 'Cinnamon' or 'Mexican Spice' - Green and purple flowers, with a spicy, cinnamon scent. 'Finissimo Verde a Palla' - Quick growing compact plants that are great for containers and edges. 'Lemon' - Gives a fresh lemony tang to pesto. Small leaves can be harder to harvest. 'Red Rubin' - Keeps purple color throughout the season with great flavor. Great in vinegars. 'Spicy Clove' - Quick growing compact plants that are great for containers and edges.